Aaron Burr’s deadly shot brought to a fatal conclusion one of the most tragic political/personal conflicts in American history. Political power aside, Hamilton was a brilliant man and one of the earliest examples of the possibilities of a society free from the shackles of a class system. Born out of wedlock in the West Indies, Hamilton was an orphan by the time he was 11. He made his way to America by his reputation as a writer and scholar. During the war of Independence, Washington (who’s many leadership strengths included an impeccable eye for talent) made him aide-DE-camp and trusted adviser. From there he became a major player in the establishment of the new republic and a figure I admire. His tragic demise seemed to be an utter waste fueled by the petty egos of two men. I never thought more of it that that, until I came across Joseph Ellis’ book Founding Brothers. Ellis points out the importance of character in the infancy of the American Republic. Principles of honesty and integrity were crucial to a fledgling Republic that did not have the mechanisms to fend itself against powerful unscrupulous men. 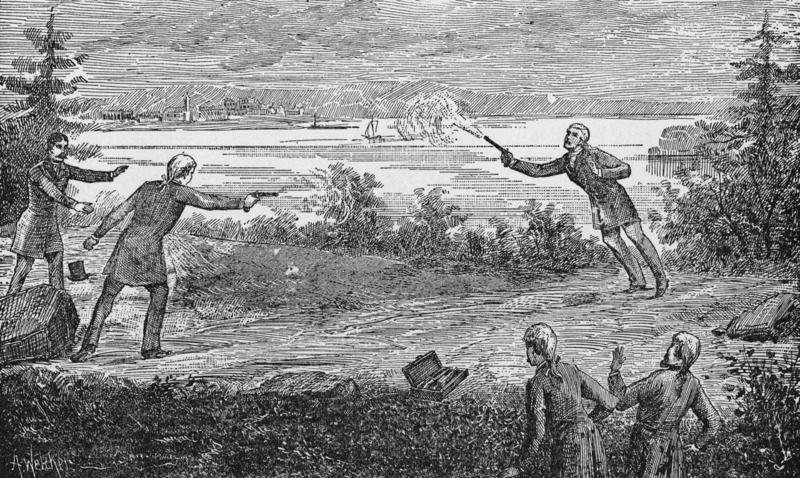 Hamilton and Burr found that defending their honor in the public eye was a necessary thing–even if the defense of one’s character lead them to that absurd day on the fields of Weehawken. The duel will always remain one of Americas’ great tragedies, but in a way a little of the senselessness of the event was removed by this observation. I believe Burr to be a scoundrel and even a traitor, but in fairness, I am also convinced that he did not intend to kill Hamilton. He was in fact the unwitting recipient of a pistol with a hair trigger, but that is a post for another day.